Heavy duty stainless steel basket ball hoop with chain net suitable for parks and open spaces. 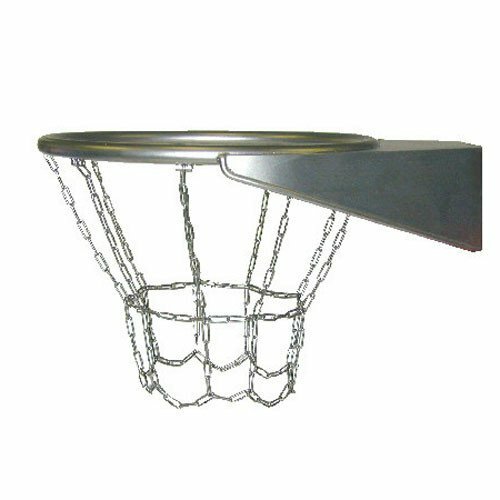 Our stainless steel wall mounted basketball hoop and net is manufactured from AISI 304 Stainless Steel. The design and high quality specification of this unit makes it virtually vandal proof and suitable for any urban environment. This unit has fixing plate dimensions of 160mm x 150mm with 4 No 10mm fixing holes at 110mm x 90mm hole centres. 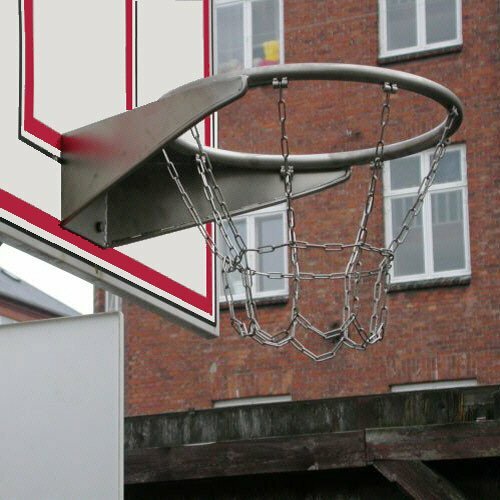 KBT Basketball Ring Powered Coated Red Complete With Net.